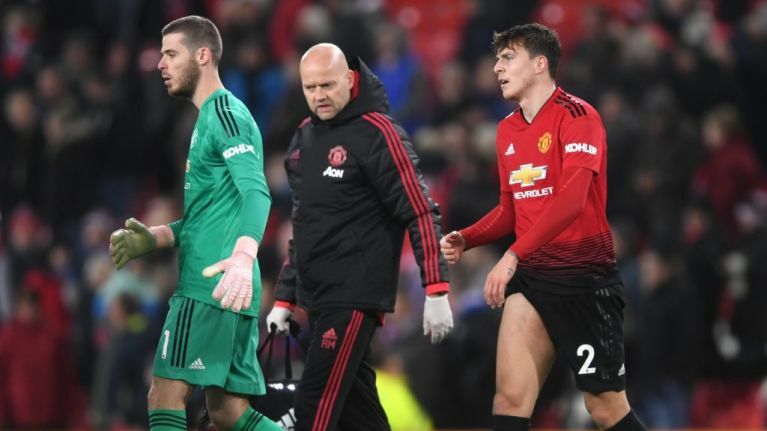 Victor Lindelof has been ruled out of action for at least a month after sustaining an injury against Crystal Palace. The Manchester United defender played through a thigh injury during a 0-0 draw against the South London side. José Mourinho has ruled him out of contention to play against Young Boys in Manchester United's penultimate Champions League group stage match tomorrow night. “No chance. He will be out for quite a while,” Mourinho said at his pre-match press conference on Monday. “We have [Eric] Bailly and [Phil] Jones, Marcos Rojo has some little injury and Victor a proper injury that will keep him out for a while, so Jones, Smalling and Bailly are the three we have. “He does the scan tomorrow but by the experience of the medical department and the feelings of the players, he has a muscular problem and muscular problem takes time. The details of Lindelof's injury were not disclosed but a more precise time frame should come to light after a scan over the next few days. Eric Bailly has not played since United's 3-2 over Newcastle in early October, when he was hooked off before the 20 minute mark after United had conceded two goals. It is likely that Phil Jones will step in to replace Victor Lindelof in the Swede's absence, meaning that the iconic duo of Chris Smalling and Phil Jones will be reunited on the pitch again. It's 2018, and these two Sir Alex Ferguson signings are still playing together at the 'biggest club in the world'.